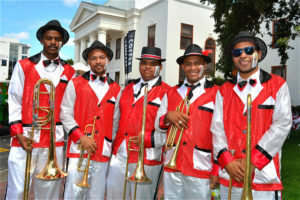 The Stellenbosch Harvest Parade 2019 is a merry, family-friendly spectacle which hits the streets of Stellenbosch on 2 February. 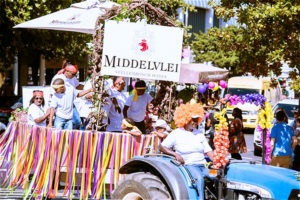 Farm locals of this renowned wine region take to the streets accompanied by musicians and a festive entourage for the celebration and blessing of the year’s grape harvest. “Stellenbosch is the heartland of South African wine, which gives special significance to the harvest parade. It’s about celebrating the bounty that harvest brings, but also the spirit of goodwill that prevails despite the season’s physical demands,” says Stellenbosch Wine Routes manger Elmarie Rabe. The parade sets off from the Van der Stel sports grounds at 9am and leads down Alexander Street to the town hall where the harvest blessing will take place. From there, it returns along Merriman Avenue to conclude in the delightful Agri-worker Crafts and Family Day. Expect the colourful splash of tractors decorated with grand flair; the lively sounds of trumpets and drums and tambourines; glittering costumes; and, plenty of smiling faces as the happy convoy makes its way through the leafy streets of the City of Oaks to usher in the hustle-and-bustle of harvest. 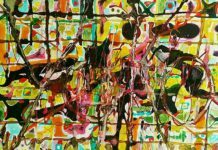 The craft expo show officially opens upon conclusion of the parade and takes place in collaboration with the Stellenbosch Agricultural Society at the town hall, from around 10am to 3pm. Entrance is free of charge. Handmade homeware, including preserves and bakes, will be available for purchase from farmstalls competing for the title of Most Innovative while well-known TV personality, comedian and performer Laetitia Solomons conducts the proceedings as MC.